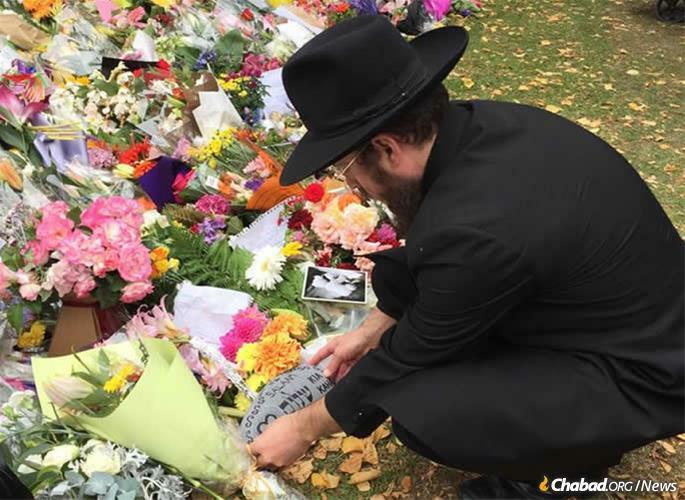 Rabbi Mendy Goldstein, co-director of Chabad of New Zealand, flew down from the North Island on Sunday to comfort and console grieving families and the community. 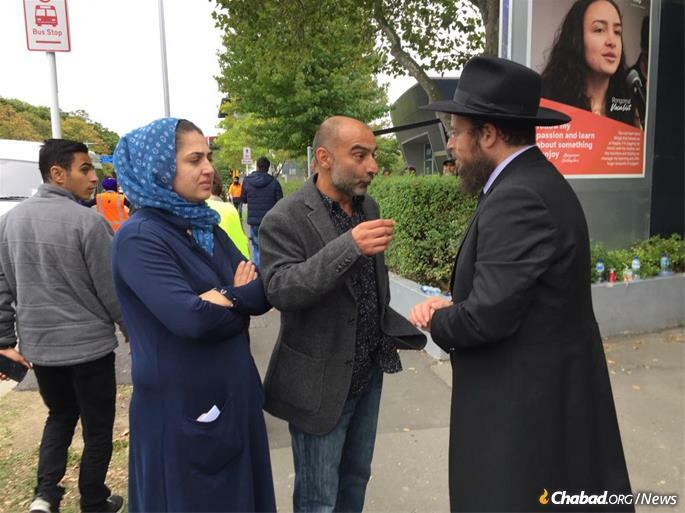 As the Muslim community in Christchurch, New Zealand, grapples with the mass terror shooting in two mosques that claimed 50 lives and left dozens more injured on Friday, they received comfort from the Chabad representative to the country. 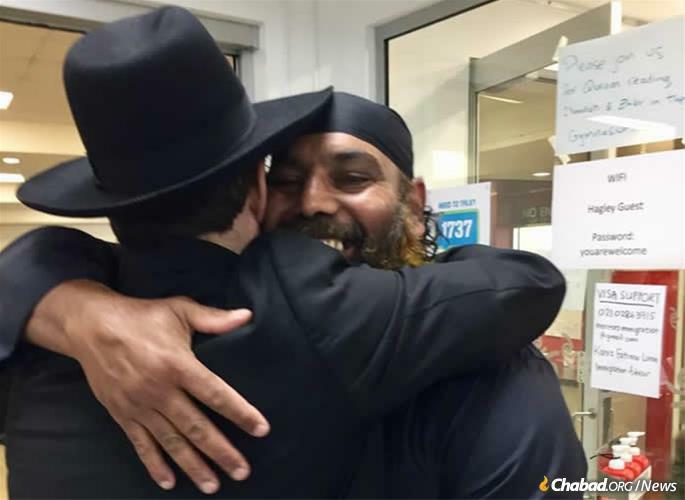 “People were exceedingly grateful to see a rabbi fly in, as well as the Jewish community’s support from all over New Zealand and around the world,” Goldstein told Chabad.org. “In moments like these, we are reminded how united we are. Despite our differences, humanity is one family, and this is what was felt. His presence was noted by the mayor of Christchurch, as well as other elected officials. “The recent tragic mosque terror attacks have shown that real faith crosses religious divides,” noted MP Duncan Webb on Twitter, where he posted a picture of the rabbi visiting members of the Muslim community. 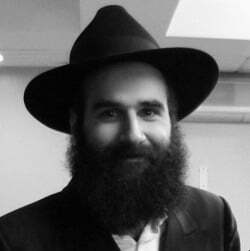 In addition to providing words of comfort, the rabbi distributed candies, which he arranged for Air New Zealand to donate, to children. 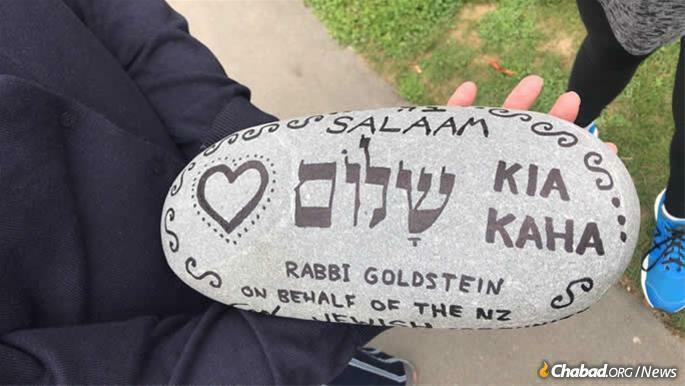 A stone commemorates the tragedy and communicates the Jewish community's support. “We cannot overestimate the value of every hug, every gesture, every hand extended in support,” said the rabbi. “The recent tragic mosque terror attacks have shown that real faith crosses religious divides,” noted MP Duncan Webb.